If you have a natural gas boiler (and this is usually the only type of boiler installed in our area), it’s beneficial to have the boiler shut down over the warm season if it’s an older model. A boiler that you’ve had for more than 15 years probably ignites the burners with a pilot light. This standing pilot light will waste gas over the summer while it has nothing to do. We recommend you turn off the gas to the pilot light (there should be a valve next to the pilot burner assembly) and only relight it in fall. For newer boilers, you may have an option to put the system into a “standby” mode, which cuts most of the gas to the boiler but allows you to easily reactivate it when necessary by simply changing it out of standby mode. The valves on the boiler might seize up if the unit is left off for a month or more. We recommend you occasionally turn the boiler back on every few weeks. You only need to run it for a few minutes to avoid damage to the valves. We usually recommend people have their home heating systems serviced with inspections and tune-ups during the fall. If you keep your boiler shut off for the summer, however, it’s better to have this maintenance work done at the end of the summer (such as the first week of September). This gives you a head start on the colder weather and ensures the boiler is able to come back to full power after taking a couple of months off. …then keep the boiler running. People aren’t often aware that an indirect water heater relies on the heat energy from either the home’s furnace or the boiler. 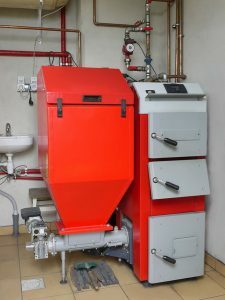 If you use a boiler to heat your house, the water from the boiler moves through a heat exchanger to also send heat into the tank of the water heater. You always need hot water during the year, no matter the temperature outside; keep the boiler running so your indirect water heater will also keep running. Bob Mims Heating & Air Conditioning has served Staten Island’s Heating and A/C needs since 1955. Call us to help with your boiler at the end of winter.